Travellers flying to the capital of Poland – Warsaw– generally arrive in the city via Chopin airport (WAW), an international hub strategically located 10 kilometres from the downtown and offering convenient direct transport connections by bus, train or car. Arriving passengers who wish to commute to central Warsaw can do so by taking bus lines 175 or 188 from the stands outside the terminal; during the night time, bus N32 covers the same route. As an alternative, SKM trains depart regularly from Warsaw Chopin airport railway station towards the city centre, so you are advised to follow the wayfinding system after collecting your bags in order to get to the platforms if this is your choice. Should you prefer to hire your own vehicle to travel from the airport to Warsaw city centre, there are rent a car offices available both in the public arrivals zone and on the mezzanine level among which we count renowned companies like Avis, Budget, Enterprise, Alamo, Europcar, Hertz, Sixt, Global Rent, Fox and Carrson. The main terminal of Warsaw International airport is divided into two areas known as the South Hall and the North Hall, which in turn accommodate the A and B check–in desks in the former case and the C, D and E check-in desks in the latter. The North Hall is the newest one and has become home to the airlines belonging to StarAlliance and OneWorld, handling the majority of its departures and arrivals. Therefore, if you are flying with a carrier that is not a member of the aforementioned alliances, chances are that you will need to go to the South Hall when leaving the Polish capital. Although it won’t be detailed in this article, it must be noted that Warsaw airport boasts a varied shopping and dining offer distributed among the landside and the airside of its two sections. Have you booked your flights with LOT Polish airlines, Finnair, Turkish Airlines, Lufthansa, Air France or KLM? If you have and you are a holder of an electronic passport, you can skip the queues and head straight to the self-service check in kiosks in Warsaw Chopin International airport, even when the ideal situation would be to be carrying only hand luggage as checked bags will still have to be handed over at a counter before you proceed to the security checkpoints. Before flying to a new terminal that you have never been to before, it is common to wonder if you will get access to wireless internet while you wait to board the plane and whether it is available free of charge. Warsaw Chopin airport does offer complimentary WiFi to passengers going through, but it is limited to four hours and requires previous registration. We are aware that aviation lovers would rather spend their waiting time at the airport watching planes land and take off at the observation terrace than in the restaurants and shops. The observation deck in Warsaw Chopin has the advantage of having a roof and isolating glass, so that it can be enjoyed even in the coldest months in Poland. Admission is free and its opening hours go from 6am to 10pm every day of the year. Before departing Poland and as long as you meet the requirements as a non EU citizen having purchased the minimum amount of goods for personal use during your trip, you can take advantage of your going through the terminal to request your tax refund in Warsaw Chopin International airport. There are Tax refund offices in the public departures hall (Global Blue and Premier Checks) which open around 5am every morning, and some others on the airside to be found both in the Schengen and non-Schengen boarding concourses. Among other carriers handling both regular and seasonal operations to WAW, the international airlines below offer scheduled flights to Warsaw all year round. Aegean Airlines (from Athens), Aeroflot (Moscow Sheremetyevo), Air Canada (Toronto), Air China (Beijing), Air France (Paris Charles de Gaulle), Alitalia (Rome Fiumicino), Austrian Airlines (Vienna), British Airways (London Heathrow), Brussels Airlines (Brussels), Czech Airlines (Prague), Easyjet (Basel, Berlin Tegel, London Gatwick and Geneva), El Al (Israel Ben Gurion), Emirates (Dubai), Finnair (Helsinki), KLM (Amsterdam), Lufthansa (Frankfurt and Munich), Norwegian (Málaga and Oslo Gardermoen), Qatar Airways (Doha), SAS (Copenhagen), Swiss (Zürich), Tap Air Portugal (Lisbon), Turkish Airlines (New Istanbul airport from January 2019), and Wizz Air, LOT and Travel Service Polska connecting the city to a long list of destinations across Europe. Are you looking for a passenger lounge in Warsaw Chopin International airport? 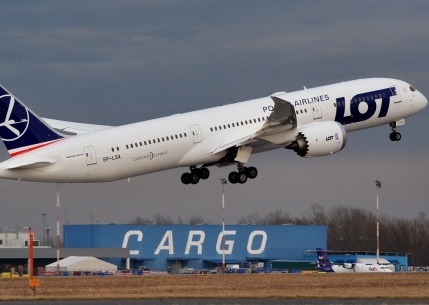 Frequent flyers of LOT Polish Airlines or StarAlliance partners as well as members of travel loyalty programs and holders of certain credit cards may be granted free access to the lounges in WAW. Nevertheless, some of them also allow passengers flying with any airline in any category to pay a fee to benefit from its services, which normally include comfortable seating, complimentary catering and drinks and shower facilities. Should you want to locate a specific airport lounge in Warsaw before travelling, know that the Fantazja executive lounge, the Preludium and the LOT business lounge are in the Schengen boarding area and stay open from 5am to 11pm, while the Bolero lounge and the Mazurek business lounge (managed by LOT Polish airlines) are situated in the non-Schengen boarding area and are available to passengers between 6am and 11pm. Previous Is food on Emirates economy flights included in the price? What is it like to fly with Emirates?